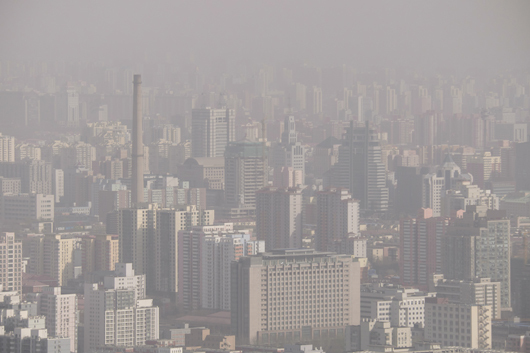 Dr Mark Broomfield, knowledge leader with Ricardo Energy & Environment, has been invited by the Asian Development Bank (ADB) to deliver a presentation on local and regional air quality management at the Greater Beijing–Tianjin–Hebei Regional Air Pollution Control International Workshop in Beijing, 2–3 March. Dr Broomfield will draw on Ricardo’s experience supporting national and regional governments in Europe to target and reduce pollution from industrial sources and road vehicles. The workshop will bring together air quality experts from around the world to share international perspectives on air quality management and support China’s authorities to review and enhance the pollution prevention and control Master Plan for the Greater Beijing–Tianjin–Hebei region. The high-profile event will include participants from Environmental Protection Departments/Bureaus, representatives from central government agencies, Research Academy of Environmental Sciences, NGOs and donors. As part of the workshop, Dr Broomfield will sit on an expert panel to discuss and identify policy gaps in the current draft Master Plan. With more than 100 air pollution scientists, consultants and engineers, Ricardo has one of the largest air quality teams in Europe. The consultancy supports governments across the world to develop region specific air quality and pollution control policies and standards at city, regional and national level. Dr Broomfield’s contribution is part of a wider programme of support Ricardo is providing to ADB on improving air quality in China and the wider Asia region.